This article is part one of a four part Eden Labs series on about privacy tokens. Ask the Eden Labs team questions on our Telegram and receive updates, analysis, and research insights. When analyzing a project, the Eden Labs team looks for projects that do something unique or do it much better than its competition. Quality projects should be able to explain complex ideas simplified to their audience. In addition, projects that rely heavily on a broad user base have to have an incentive for the first ten people to join the network before a million users is ever achievable. No project will succeed if it requires a million participants to bring any value to its users. Zcash is one of many new digital currency projects intended to expand upon the original capabilities of Bitcoin. Forked from the Bitcoin protocol, the goal of Zcash is simple: to build a permissionless cryptocurrency that can adequately protect the privacy of transactions using zero-knowledge proof cryptography. Privacy should be a fundamental human rights. In our modern day and age, our standard of confidentiality has been deteriorating by the rapid onset of new digital technologies. Bitcoin has been a revolutionary force for our economic liberty as a worldwide platform for distributed trust. However, Bitcoin has its weaknesses and fallacies. Privacy is not guaranteed on the Bitcoin network as once an individual knows the address of a wallet, they can easily observe and track every movement in and out of that address on the Bitcoin network. So much so, that some companies have built their business models around snooping through the Bitcoin network to look for suspicious activity or tracking coins and wallets deemed to be held by malicious individuals. For example companies such as Chainalysis aims to build trust in blockchains between people, businesses and governments through their product suite which includes suspect identification, criminal revenues, activity monitoring, and cyber threat intelligence among other services. Zcash is a fork from the Bitcoin protocol launched in 2016. The Zcash protocol preserved many of the same attributes as Bitcoin but has significantly improved on its privacy features. By using a cryptographic technique called zk-SNARKs built on zero knowledge cryptography, Zcash allows transactions and balances on the network to be verified without requiring users to reveal any information about their transaction value or identity. Thus, Zcash provides users with the highest standard of privacy available with current cryptographic methods. As previously mentioned, Zcash is a fork of the Bitcoin protocol. This means that much of the properties of Zcash are similar to Bitcoin but include some crucial differences which make Zcash unique and private. Similarly to Bitcoin, Zcash uses a deflationary economic model with a finite token supply alongside a battle-tested PoW consensus mechanism for trustless transaction verification. Although, unlike Bitcoin, Zcash makes use of zk-SNARKs (“Zero-Knowledge Succinct Non-Interactive Argument of Knowledge”) which allows transactions to be fully encrypted but still fully verified under the PoW consensus mechanism. Zero-knowledge proofs are the defining attribute which makes Zcash a privacy-centric coin. These ZK proofs are defined as cryptographic proofs that convey no additional knowledge, other than the correctness of the proposition in question. This means that in a zero-knowledge proof the prover can convince the verifier not only that a number exists, but that they know such a number, without revealing any information about the number. This fact is advantageous as it provides the missing piece allowing Zcash to both facilitate private transactions and act as a unique store of value. Public Transactions: Public address → public address, where all balances and transaction amounts are revealed. Shielded Transactions: Public address → private address, where the balance sent from the public address and the transaction amount is revealed at the beginning of the transaction but becomes shielded upon receipt. Deshielded Transactions: Private address → public address, where the transaction amount is revealed through the deshielded transaction, but the total balance in the private address remains shielded. Private Transactions: Private address → private address, where the balance held in each address and the transaction amount is wholly shielded, ensuring full financial privacy. Sometimes, Zcash can be confused with total privacy, but there is a crucial piece of information that users need to be aware of. Zcash does not protect against correlations made with public transactions (e.g. when Zcash is traded to/from another cryptocurrency). This is not a big issue, but it slightly diminishes the privacy value provided by Zcash. It is evident that this issue can be side-stepped with the use of VPN’s, but a genuinely private transaction shouldn’t have additional steps involved. Additionally, although Zcash is secure at the moment, it was mentioned by the Zcash team that it is likely that zk-SNARKs could be compromised by a powerful enough quantum computer. This is not currently a concern, but it indeed poses a looming threat over the soundness of the technology and its future security. Zcash is the first cryptocurrency project to integrate zero-knowledge proofs into its architecture in order to provide previously unavailable privacy features. Their use of zk-SNARKs has been essential to their success as it completes its intended task efficiently, safely, and securely. Zcash offers a plausible solution for the privacy issues facing distributed ledger technologies and could potentially develop into the ubiquitous private storage of value. Minor technical issues face Zcash, but most are inconsequential; the Zcash protocol would be wise to look into quantum resistant features for future development especially as the team has already highlighted this as a potential problem. The roadmap provided by Zcash is barebones and points to the facts. The two significant upgrades are listed, as v2.0 gears up for release in mid-August. This upgrade will introduce efficiency improvements which are always welcome. Not much is planned beyond January 2019. Distribution: Zcash was not pre-mined or ICO-funded. Instead, it follows a different funding and distribution approach. Zcash started with a closed investor’s group who funded the company with $1 million to kick off its development and operations. In return, these investors were promised a 10% reward of the total supply incrementally over the first four year period. This 10% reward of investors is called a “Founders’ Reward” which means that whatever amount of Zcash is mined for the first four years, 10% of Zcash will be incrementally distributed among these investors. Intrinsic Token Value: The inherent token value of Zcash is self-evident; the privacy features of Zcash make it an attractive token for those seeking a higher degree of privacy when making transactions on a daily basis. The ZEC token is needed to make these types of transactions possible, and there is just no way of circumnavigating this fact. This makes the ZEC token intrinsically valuable to users. Zcash’s current market cap is reasonable as it is one of the most popular methods of achieving private transactions and the distribution of the tokens are steadily flowing as they are mined to a total of 21 Million ZEC. The ZEC token is intrinsically valuable to the ecosystem as it is the means of value transfer which can be inherently private or public if chosen. Plus an additional mix of 12 engineers, a community manager, user experience researcher, and business developer. The Zcash team and advisors are impressive. The core team consists of tech and cryptography veterans which have ample experience to build a secure and private platform such as Zcash. The core team is also filled with twice as many engineers who are all just as experienced and committed to the project. The scientists involved with the project are all heavy hitters from top ranked universities, each one of them researches and specialises in cryptographic proofs and privacy systems. The advisors for this project are equally as impressive as the core team, if not more. Including industry legends such as Gavin Andresen and Vitalik Buterin, every advisor for the Zcash project has the experience and capacity to understand, improve and advise this project. A new company developing STARKs, a new cryptographic proof system which is scalable and post-quantum secure. A large American multinational investment bank. They have announced a partnership with Zcash and are in the process of integrating a zero-knowledge security layer to settle transactions on the blockchain that were previously settled elsewhere. A platform for providing financial freedom through donations or remittances. The Zcash protocol has garnered interest from reputable funds and well-known investors. The relations with companies such as Shapeshift, JP Morgan, and Starkware show that they are open to improvement and potentially mutually beneficial collaboration. Their partnership with Starkware is a good sign as it shows foresight on behalf of the leadership team. Zcash’s presence in social media is average; the project has been around for long enough to accumulate a much stronger web presence than it currently has. However, this is not an issue since Zcash is a veteran project compared to most cryptocurrencies presently available on the market and is already relatively well known. That being said, the team is moderately active across all of their platforms. It has been stated by the Zcash team that a powerful enough quantum computer could break zk-SNARKs and fool the Zcash protocol. This is only slightly worrying since quantum computers do not pose a threat to our cryptography methods just yet. That day will be upon us within the next couple of decades. Until then, it is comforting to know that the Zcash team knows about this potential issue and will be working to mitigate it. This issue is also minor, yet it still deserves a spot in this list due to the extra steps needed to secure a transaction from other cryptocurriencies to and from Zcash. To do so, one would have to use a combination of TOR and VPN’s to obfuscate their IP and achieve full privacy. 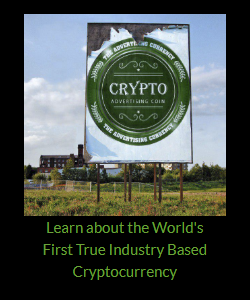 This should not be needed for a cryptocurrency touting top of the line privacy features. Zcash has secured its position in the DLT ecosystem as the first provider of entirely private transactions on a distributed ledger. The project’s use of zero-knowledge proofs directly leads to the accomplishment of its goals by improving on the original Bitcoin infrastructure and building the framework for a truly private, trustless, efficient, and secure protocol. Zcash is the type of project which will survive for many years to come, primarily after they have solved the potential issue of quantum resistance. Did you like our analysis of Zcash? Disclaimer: This is not investment advice, merely our opinion and analysis on the project. Do your own research.